Custom greeting cards using your family photos are an appreciated gift today and a treasured memory in years to come. 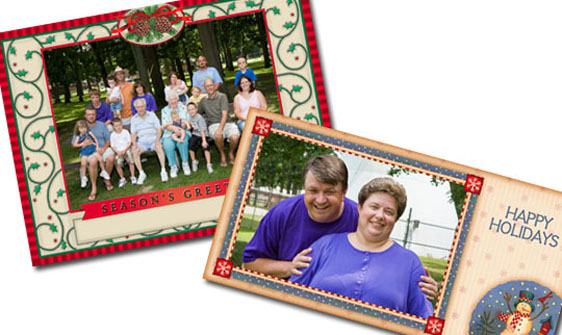 Family memories stand out and become favored treasures with brilliant Kodak photo paper greeting cards. Single side greetings in the popular flat photo style. Professional photo paper insures top quality cards and guarantees your family memories will be cherished and your thoughtfulness appreciated.